WE RETRIEVED HER between bouts of morning and late afternoon snowfall from the parking lot of the Culver’s restaurant in Lakeville, wrapping winter coat arms around her thin frame. 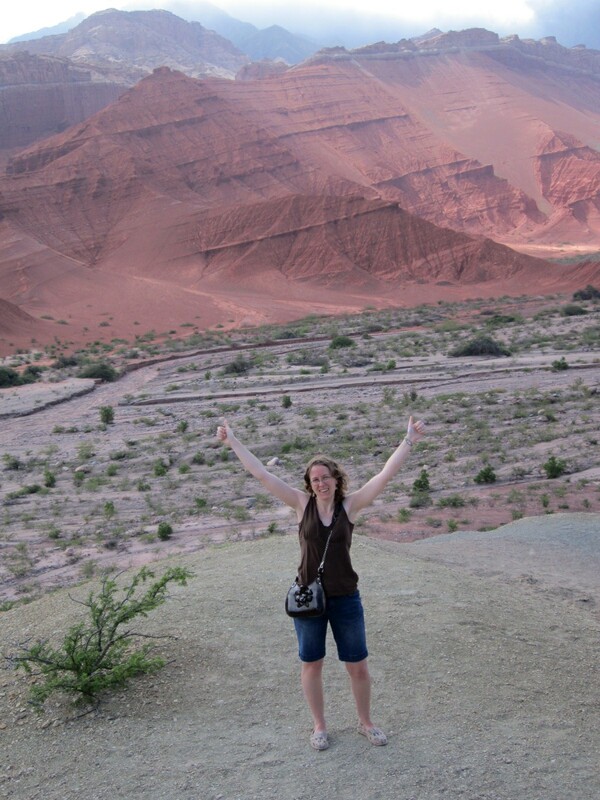 Miranda in Valles Calchaquies, near the town of Cafayate in the Salta province. She, her arms and torso snugged in a borrowed red parka, shivered in the Minnesota winter. Already she missed her beloved Argentina where the summer sun’s rays brushed bronze upon her skin. As she and her dad lifted her travel-worn suitcase and lavender backpack from the trunk of her sister’s car, shifting them into the trunk of ours, I savored the sweet moment of her homecoming. Nearly four weeks earlier I’d embraced my second-born, tears trailing down my cheeks as she turned away. The scene of her wheeling that suitcase, slipping through the airport doors, remains imprinted upon my memory. But on this Sunday afternoon, joy defined the minutes, the hour, in which all three of my adult children (it always seems odd to write that contradiction of words, “adult children”) and the boyfriend of the eldest, slid into a corner booth at Culver’s. The restaurant marked a deliberate dining choice by the oldest daughter whose sister once raved about the fast food eatery. Ironically, it’s headquartered in Wisconsin, where the returning traveler now lives. 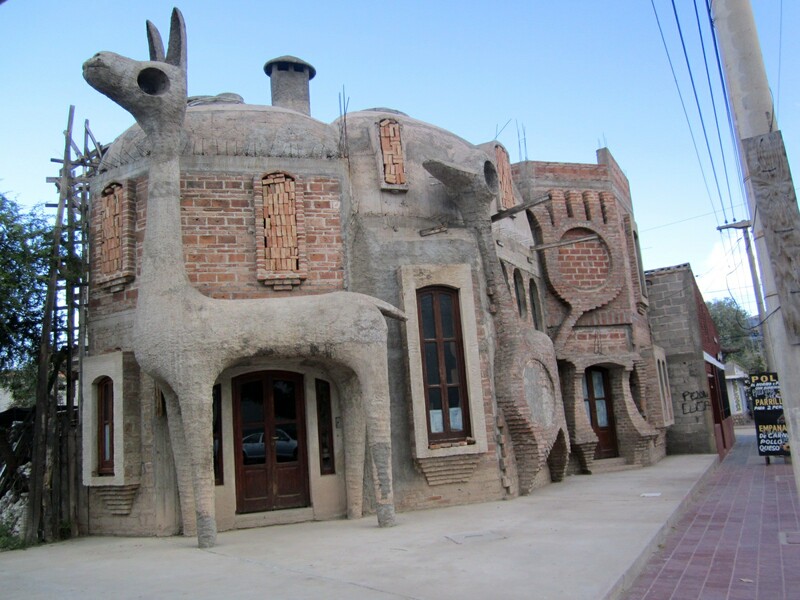 Unique restaurant architecture in Cafayate, Salta province. I truly cared not where we ate. Rather, I cared that my family surrounded me. With two of my three now living 300 miles away in opposite directions, such togetherness happens only a few times a year. I am not complaining as many more miles, even oceans, separate families. 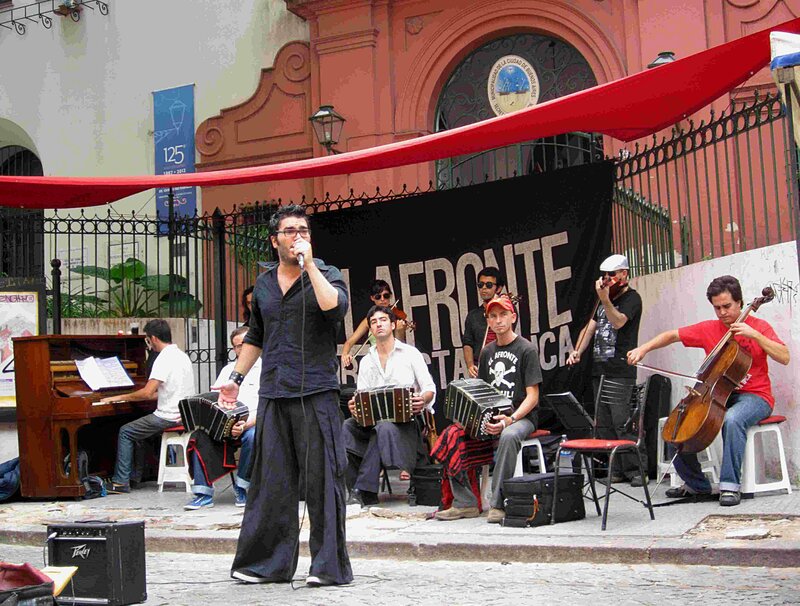 A tango band performs on the street during a fair in San Telmo barrio of Buenos Aires. But tucked deep into the recesses of my mother’s worries exists the possibility that my second daughter, some day, will return to Argentina. Permanently. Twice she’s lived there, once visited. She’s been mistaken already numerous times as a local, Spanish flowing fluent from her tongue. While she can claim a knowledge of Spanish as her own, I have passed along this genetic love of language, this appreciation for words and sentence structure and communication. 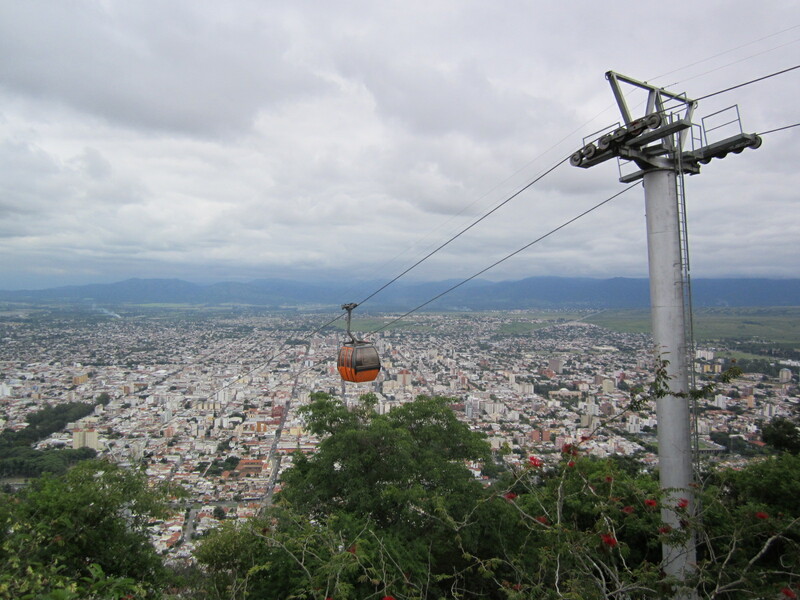 Riding the cable car in Salta. This desire to adventure, though, wells from within her, sourced perhaps from me. I intentionally encouraged her, like her sister before, her brother after, to travel, to see that which I’ve never seen, never will, for I possess not a distant traveler’s heart. This has been my selfless mother’s gift—this unfurling of the fingers, this revealing of the palm, this opening to flight, this letting go. 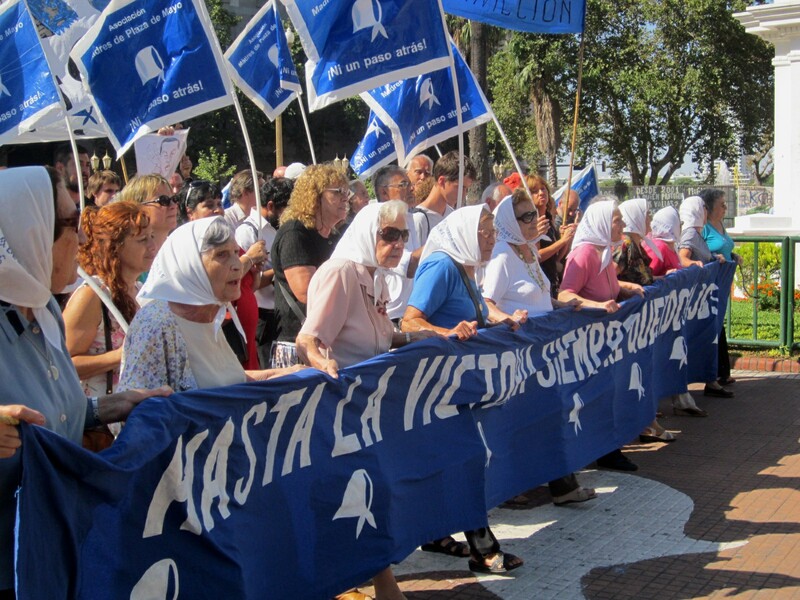 Every Thursday afternoon the Mothers of the Plaza de Mayo march in front of the central government of Argentina, in Buenos Aires. They are honoring the memories of, by most accounts, 30,000 protesters who disappeared during the “Dirty War” between 1976-1983. The then military/dictatorial government, so my daughter tells me, kidnapped those who opposed the government and placed them in detention camps. Those detainees “disappeared,” killed in the camps or drugged and dropped from planes into the ocean, she further explains. Why have I not heard of this or why do I not remember this? The white scarves identify the group and, she says, are embroidered with the names of the mothers’ lost children. 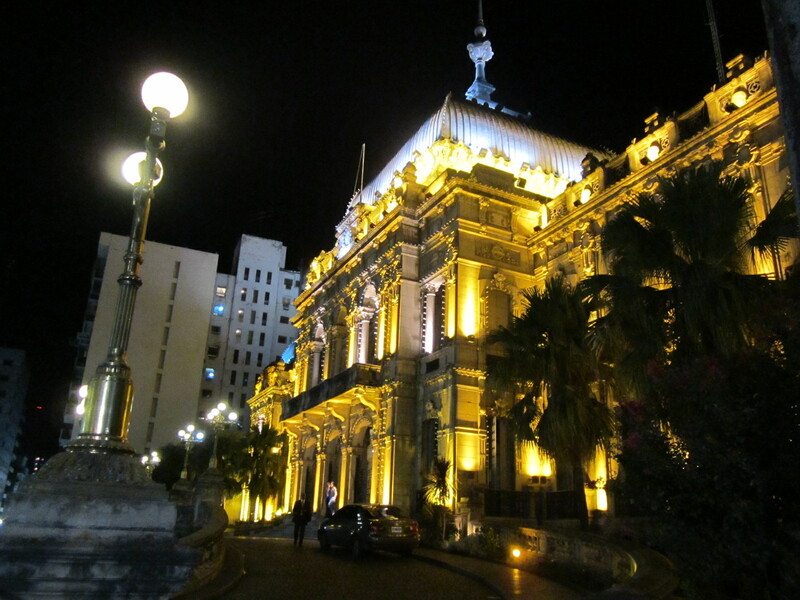 Casa del Gobierno (House of Government) in San Miguel de Tucuman. 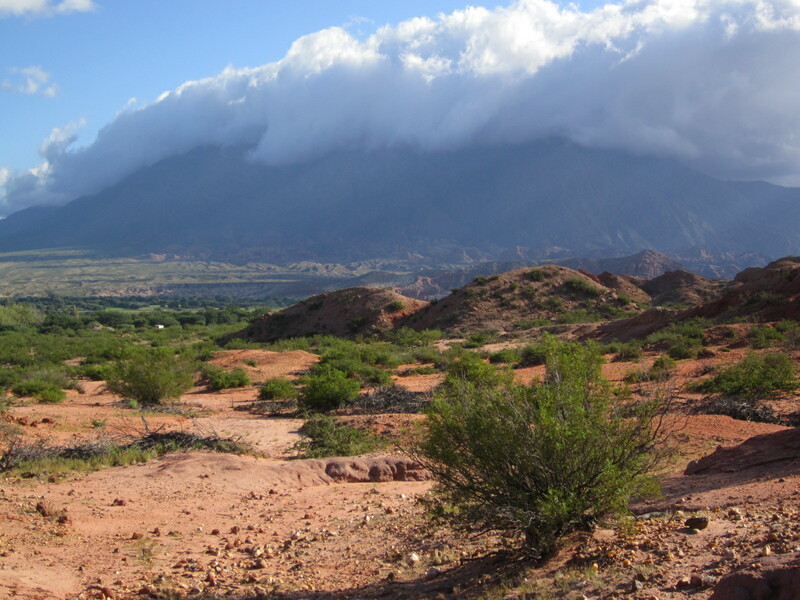 El Mirador (Lookout), Valles Calchaquies, Salta. 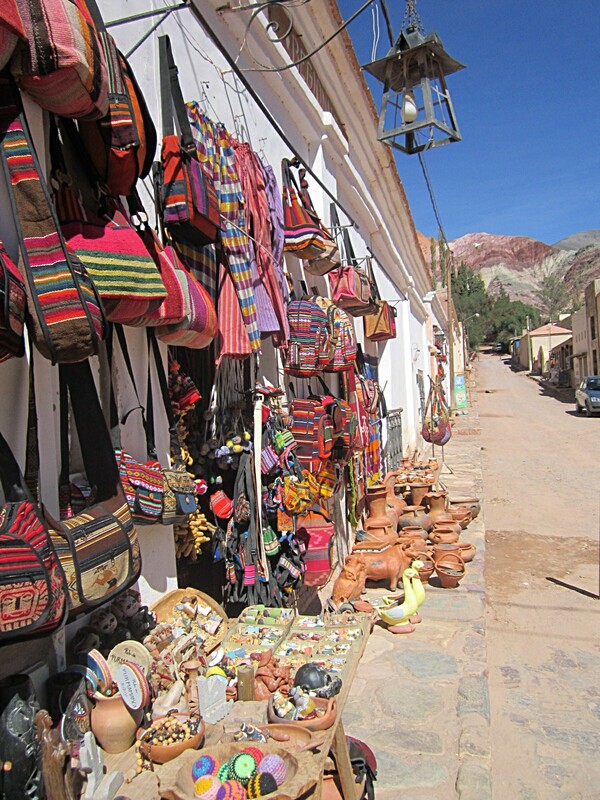 An open air market in Purmamarca, Jujuy province. 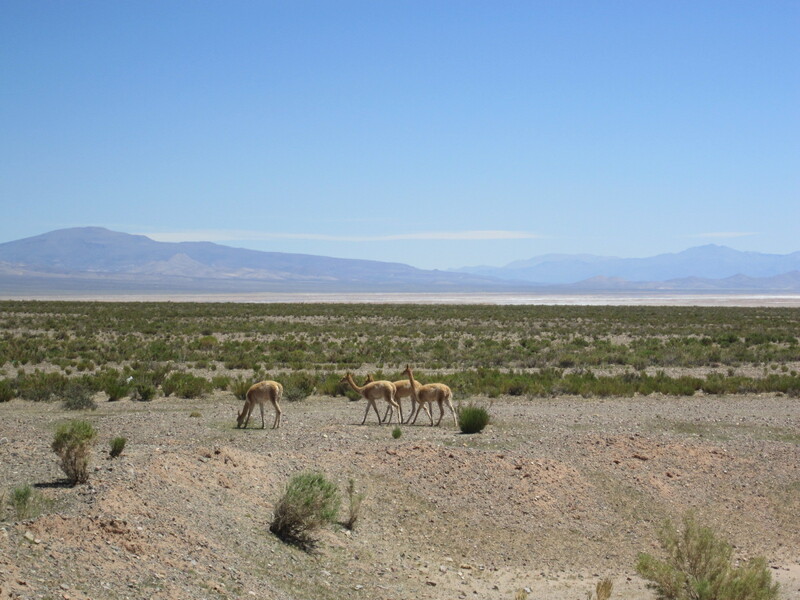 A herd of vicunas, Jujuy province. A meat stand at Mercado del Norte (North Market), San Miguel de Tucuman. 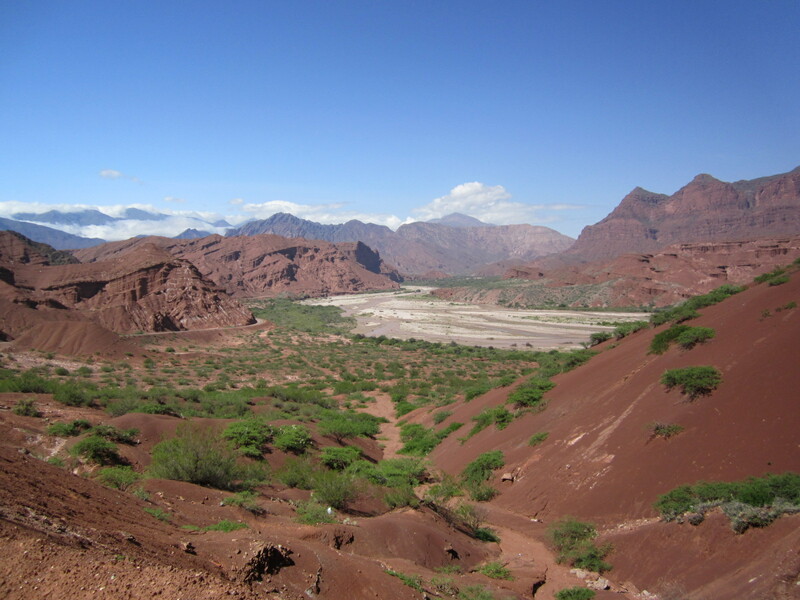 Valles Calchaquies near Cafayate, Salta province. Great posting, fantastic pictures, thank you again for connecting our world with the whole world! You’re welcome. I agree that Miranda took some fantastic photos. Choosing ones to showcase here was difficult. What a wonderful post, again!!! As always, I should say! I totally get this post. Totally. A mother is a mother forever and I think we both have very similar relationships with our kids and feel that a part of us is gone now that they are living away from us. It is what we raised them to do but it still leaves a little hole in my heart, you know? 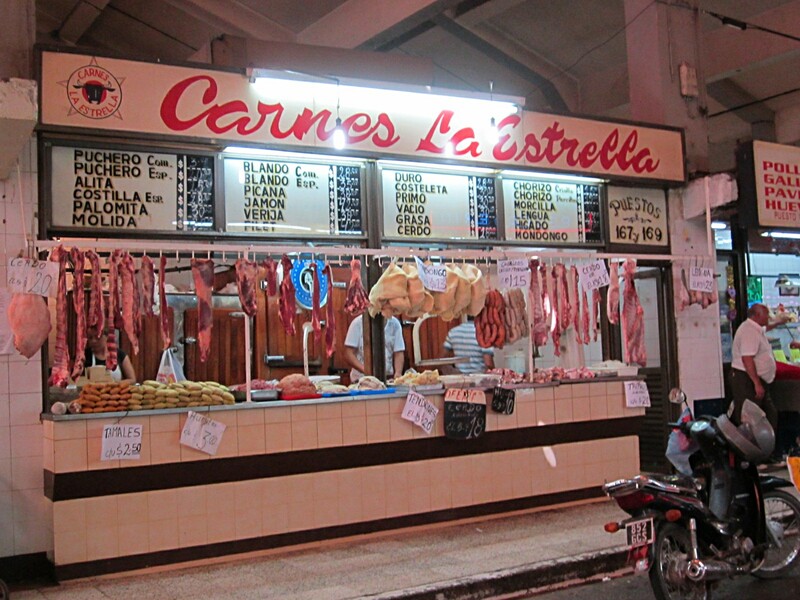 I loved the meat market picture and the market picture—–she did a great job of capturing a bit of the flavor in Argentina. Another indicator that she has some of her mom in her! Ah, Beth Ann, you are causing me to cry. You absolutely understand what I’ve written, what I feel…totally, you get it. I understand your feelings exactly. When my eldest, only a few months into college, announced that she was going on a mission trip to Paraguay during spring break, I felt the same way. I had no idea even where Paraguay was located. After awhile one sort of gets used to the travels, but that “mom’s concern” always lingers. I totally agree that Miranda’s images are fabulous. She has an eye for composition and subjects worthy of photographing. Loving your post – thanks for sharing her captures:) Happy Tuesday! Thank you. Happy to share a tiny sampling of Miranda’s wonderful photos. Ah, soon enough your children will want to travel. I started out slowly, first with them spending a weekend with a favorite aunt and uncle. Then it was off to bible camp. Soon enough they were in high school and going to national church youth gatherings and on mission trips. The process of letting go was a deliberate and gradual one. That made it easier when they wanted to travel abroad. This letting go part of mothering is not easy. But you do what is right and best for your children, not yourself. I’m confident you are raising delightful children who will embrace all life has to offer, whether here in Minnesota or elsewhere. Thanks, Jackie. I savor the times we can all be together. Viewing her photos, I can see how much she loves her adopted country. I’m so glad she is home safe and sound. I know you can sleep a little easier. Wonderful photos. Absolutely, so happy to have her back in the U.S. This afternoon she left for her home in northeastern Wisconsin, 300 miles away. Yes, I cried after my son and I wrapped her in our arms and she walked out the door. Beth Ann said it perfectly…once a Mom always a Mom! So glad Miranda is ‘home’ safe and, yes, it may be that someday a return may happen. That is for “someday”. We are thankful for the “todays” for that is what we are given. Thank you for inviting us in to this joyous reunion! She is “her mother’s daughter”…….hugs….. Yes, I often get lost in the plans for the tomorrows!!! Yup…..it’s the “Post-It Note” part of being Mom!!!!! This is amazing! Happy Homecoming! For the longest time, I wasn’t getting anything from your notifications. I fixed it! Hmmmmmm. I’ve been here, posting nearly every day. I have the same issue with two blogs I follow. How did you fix the problem? I switched a few months ago from a wordpress address to dot com, so maybe that had something to do with it? So glad she’s home safely! Does she have any opinions about the new Pope and his Argentina roots? She’s back in the U.S. and now back at her northeastern Wisconsin home. I haven’t asked her opinion on the new Pope. But from everything I’ve heard, he seems like and excellent choice.